Yes, that’s right. OK, so it’s not a « real » Power Glove, you know, the uncomfortable contraption that was brought for the Nintendo NES out in 1989. That’s precisely why the inventor of this « Wireless Motion-Sensing Gaming Glove for the Commodore 64 » wanted to create something better than his Japanese ancestor. To do this, Leif decided to use a SoMo sensor from the Canadian company SonicWear. This sensor is basically used to translate body movements into real-time musical and visual compositions. 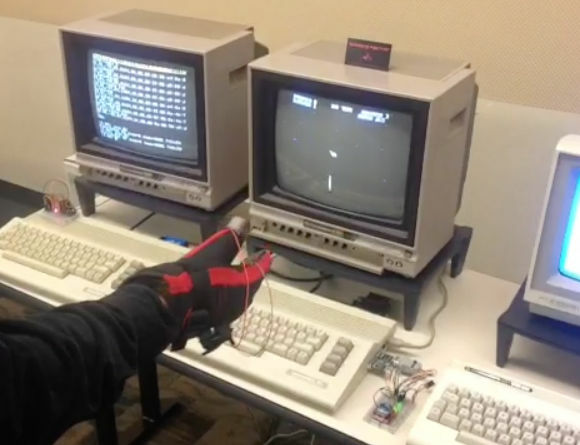 The inventor completed the project by coding the data transmitted by the glove/gyroscopes/sensors so that they would be read by the C64 as simple joystick controls! For those of you that are interested, the source code is available here. 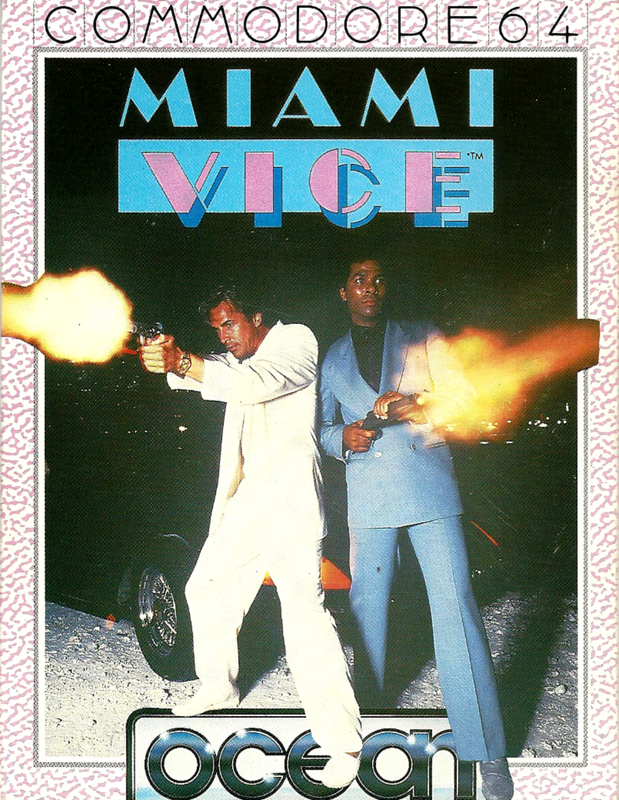 Back in the 80s, Sonny Crockett and Ricardo Tubbs were ruling were trying to rule Miami, driving fast Ferrari Daytona Spyder or Testarossa! 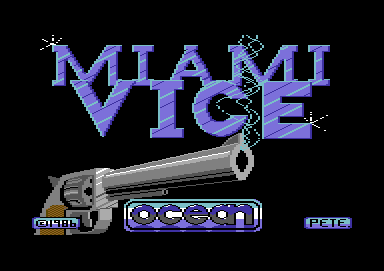 Sure it had a HUGE success on TV and it was almost impossible to Ocean to miss such an opportunity to make a game about it. 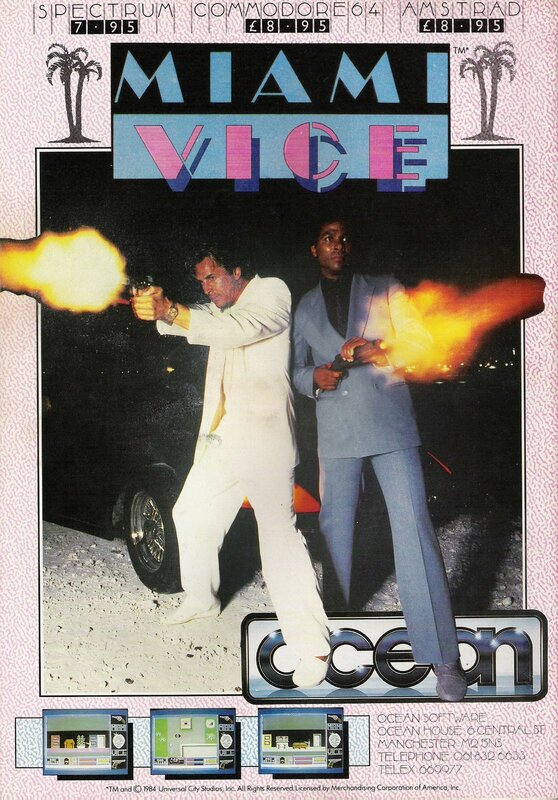 Crockett and Tubbs have heard; the word is on the street – a one million dollar contraband shipment is due in town on Thursday morning, for collection by Mr. ‘J’ – an old fashioned gangster with a respactable new image and some influential friends. These big deals usually go down under the cover of a waterfront warehouse and as of Midnight Sunday that’s as much as you know. Just get out and squeeze the network of dealers; starting with the real low – life, the $10 wrap men who frequent the local bars. If you handle them right you just might get to their suppliers, the next link in the chain and eventually the slick businessmen who operate in the casinos – they should have lots of information if you don’t have to shoot them first! Unfortunately, once again, Ocean managed to make a pretty bad adaptation. 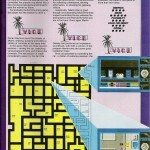 The game was pretty hard and controls were a pain in the *ss. 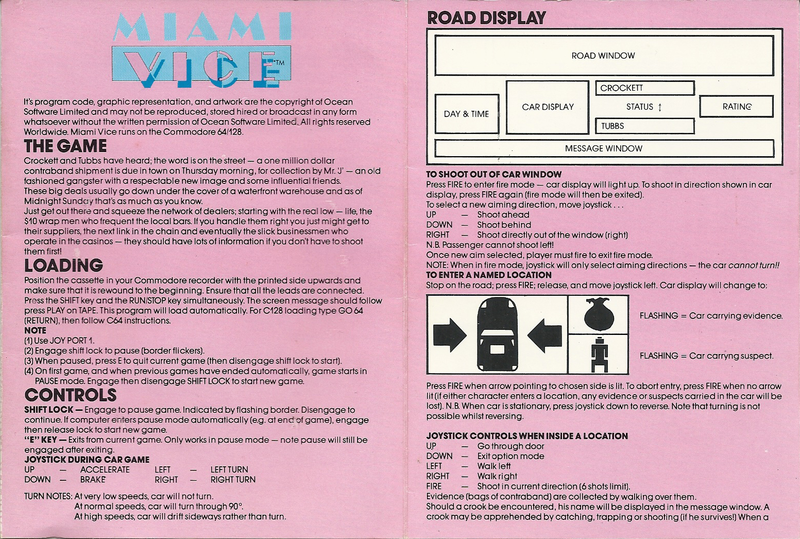 Reading many forums, it appeared that most of the players didn’t know what to do in this game. 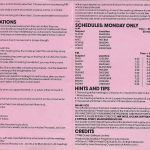 Maybe they just didn’t have to manual… so… here it is! What did save this game? Music! 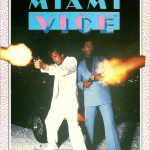 Martin Galway did an excellent cover of the Miami Vice theme composed by Jan Hammer but also managed to make an awesome 11 minutes master piece – full filtered hit – of the title Evan! 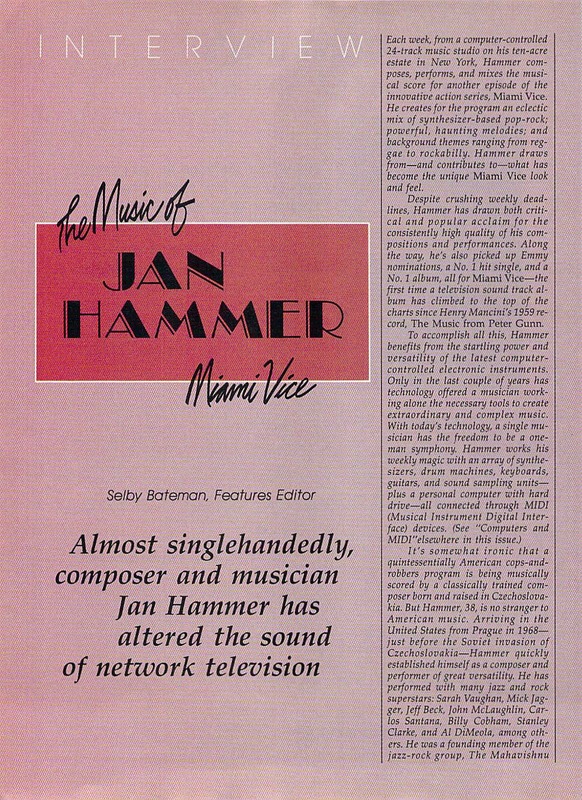 Remembering the TV serie… my prefered track was definitly that neverending Crockett’s theme composed by Jan Hammer. 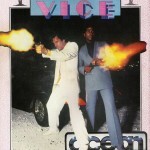 According to some websites, Mr Hammer has used a Commodore 64 and Dr. T’s KCS and his “Algorithmic Composer”. A little history about KCS and PVG. What is PVG? “The PVG is an enormously capable musical instrument, and is arguably the most powerful composition system ever seen on this planet.” – from the PVG manual by Jim Aikin. Enter Tunesmith, a second-generation algorithmic composing program, developed by Jim Johnson, that can assist with both music creation and performance. 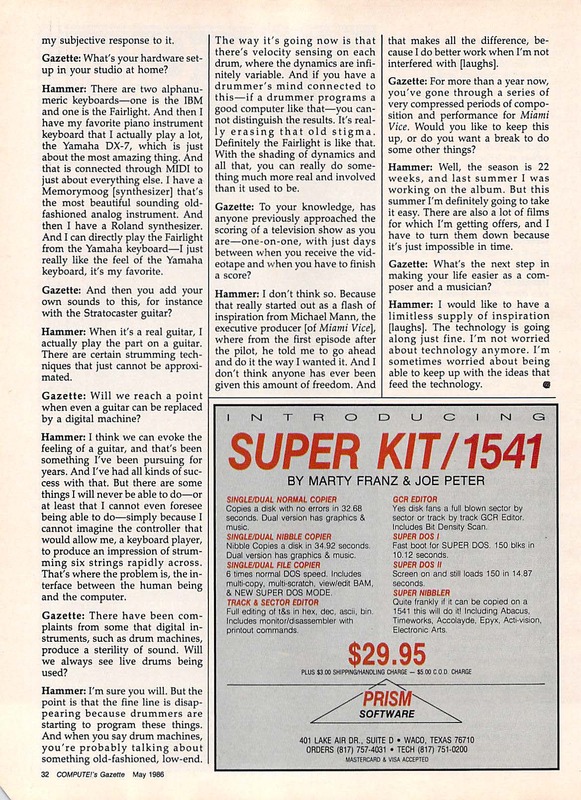 The original version was part of the Algorithmic Composer program from Dr. T’s for the Commodore 64. 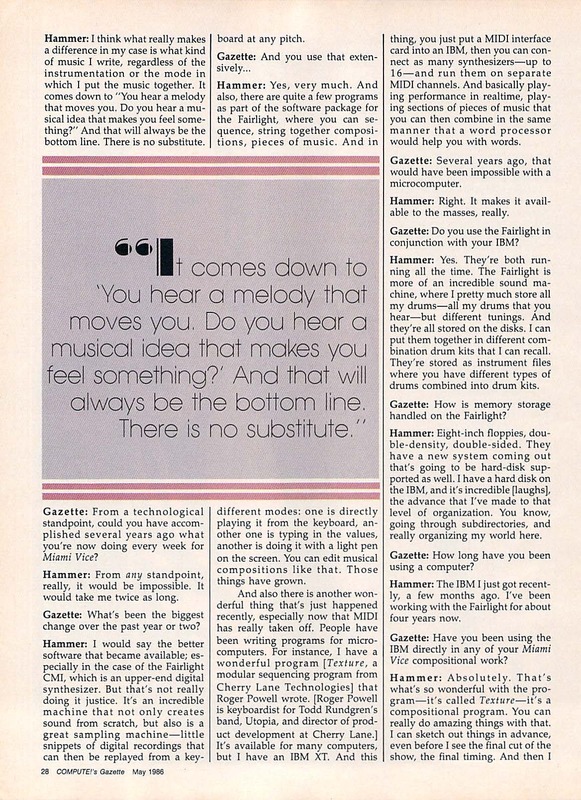 This program took on legendary proportions after being endorsed enthusiastically by synthesist Jan Hammer, who bought a C64 system just to run the Algorithmic Composer as a front end to his $80,000-plus Fairlight Series III sampler/sequencer. 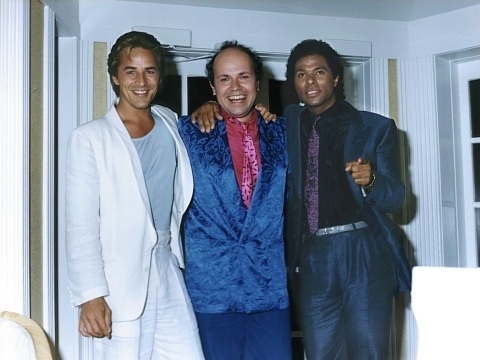 I’ve tried to contact Jan Hammer to get some information about this… but no reply so far (haha). Il would be damn cool to get an overview about his experience of it back in the 80s… Anyway, here are the original track and my prefered remix. 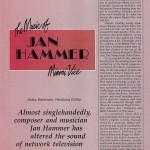 Hammer: I would like to have a limitless supply of inspiration [laughs]. The technology is going along just fine. I’m not worried about technology anymore. I’m sometimes worried about being able to keep up with the ideas that feed the technology. 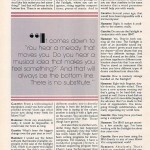 And… finally… some more music! 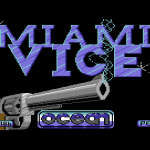 Most of the players of this game were just listenning to the Martin Galway tracks but a lot of composers and remixers made interesting covers of the Crockett’s theme. He came from nowhere … actually he’s from the Netherlands but Paul Koller or Paulko64 as he goes by in the C64 scene, isn’t one of those still active legends from the 80’s and 90’s like Jeroen Tel and Manfred Trenz. 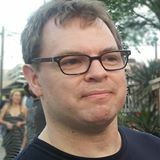 Instead Paul Koller took up the old hobby of assembly coding from his youth when he was in his early thirties and set out to port successful indie games such as VVVVVV, Canabalt and Super Crate Box to our beloved Commodore 64. 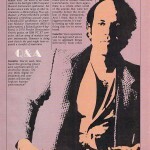 Paul Koller, the man behind C64anabalt and Super Bread Box. 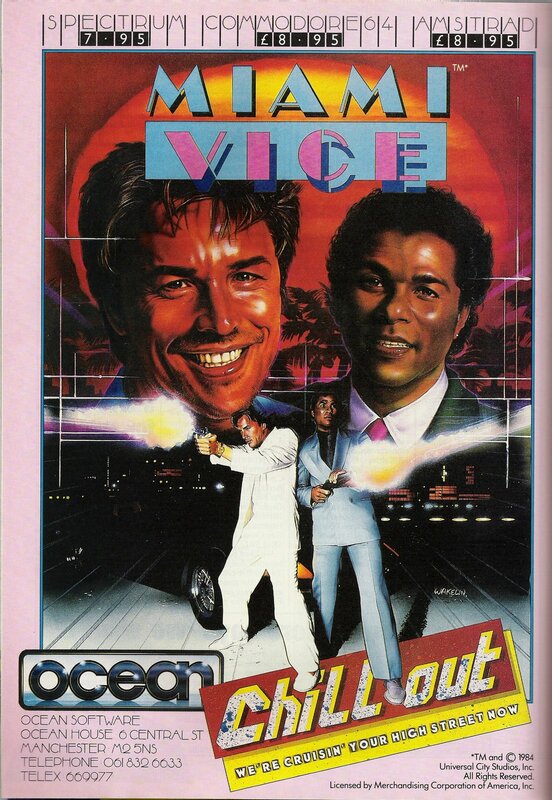 Porting games to a platform that had it’s glory days in the 80’s might seem like a horrible waste of time for some people but since you’re reading this blog you’re probably not one of them. 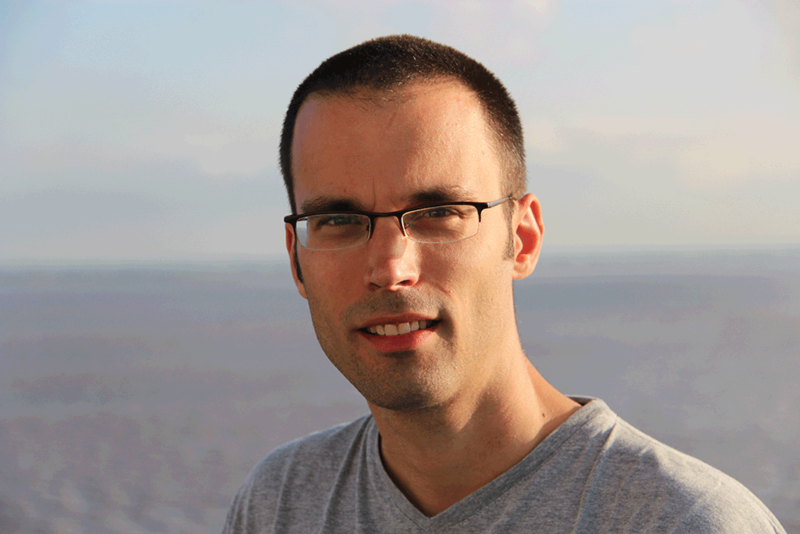 For Paul Koller it’s about overcoming technical challenges. 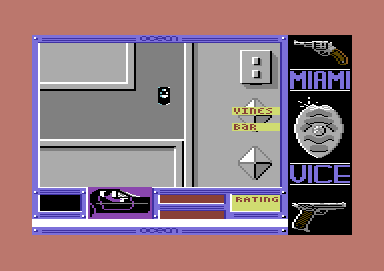 – Having grown up with the C64 and knowing the limitations, there are lots of new game-ideas developed nowadays in the indie-scene that would work very well on the C64. 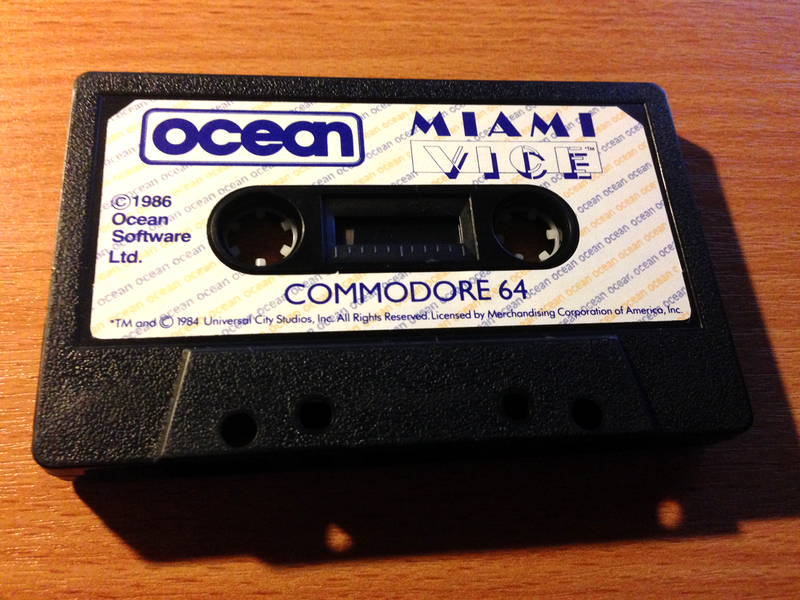 It would be a shame if the C64 would not get a port in that case, says Paul Koller. But he’s far from alone in his quest to revive the old C64. According to the C64 Scene Database there’s been roughly 40 games and probably twice as many demos/intros released so far for the Commodore 64 this year. Paul Koller believes the main reason the C64 has such a devoted following is that it once reigned supreme in livingrooms all over the world. – It had the best compromise between cost and performance at that time and could therefore dominate the market. Another reason is that contrary to other platforms like Atari or Amiga, the C64 has only 1 fixed configuration. This means that once you release something, you can be certain that everybody can enjoy it in the same way. 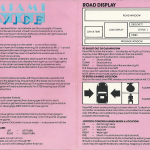 This also made it possible to make use of certain hardware “bugs” or “features” ensuring that the platform could compete even with 16 bit computers at the time. 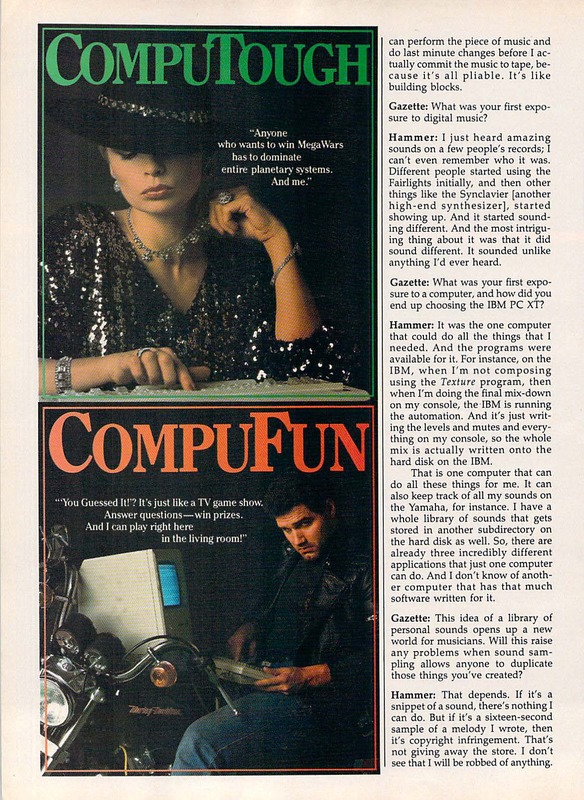 It’s production was actually not stopped because of a too small market, but because Commodore went bust! 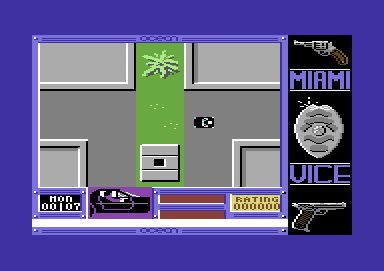 The C64 scene got a boost in recent years due to several competitions being ran. Games, demos, graphics, music, there are competitions for everybody. So everybody can contribute something here. And the last reason I can think of is that lots of tools are available nowadays, making it much easier than back in the days in developing stuff. His own first coding experience was with Basic on his father’s Commodore 64. Eventually he advanced to assembler on the same platform during his university years. But it was only five years ago that he started working on any major game projects. His inspiration came from seeing fresh new ideas from the emerging indie gaming scene, ideas he realised would work well on the C64. 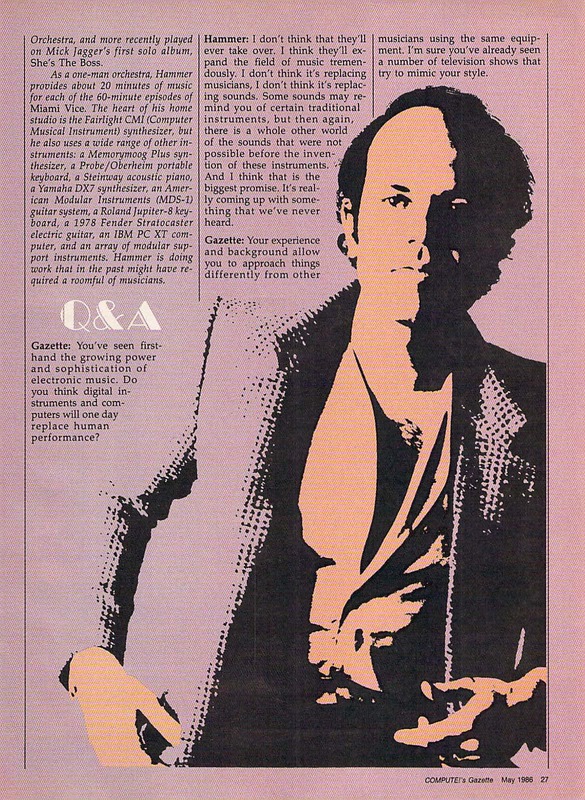 If there is one thing that could stop Paul Koller from coding for the Commodore 64 it is actually coding on the C64. Rather than hunching over the far from ergonomic keyboard while trying to shoehorn source code, compiled code and compiler/editor into 64 kilobytes of ram Paul Koller uses all the modern day technology help he can get. – I write my code in a simple text-editor and use one of the widely available cross-assemblers for coding. Graphics I usually develop myself, since it’s very closely linked to the technical limitations. But also here lots of great sprite and background editors are available. SID-music is also developed on a PC through Goattracker. Mikkel Hastrup is an amazing SID-musician, and it’s a delight to have worked with him on SBB, while he also developed the SID-conversion for C64anabalt! Learning assembly language is according to Paul Koller the only way to be able to code anything useful on the Commodore 64. And while he thinks it’s a good way to learn how a computer works on a low level he notes that the techniques you use are pretty much useless when put in modern day code. – The best tip is to just start writing simple things. Don’t expect to write the next best game in a few weeks. First learn all the basics. But try to keep it fun to keep your motivation up. 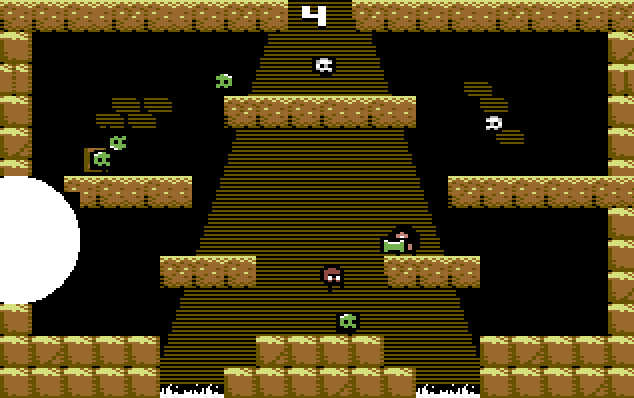 Motivation (or the lack thereof) is THE primary reason C64-games often do not get finished. start with something simple like moving a sprite over the screen with the joystick. That’s how I started. Add some backgrounds, enemy sprites and you almost have a game already. 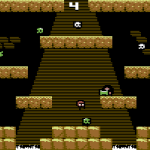 The first game he released for the C64 was a demo of “VVVVVV”. He’s mentioned in several interviews that he want’s to finish the game but so far nothing has been released. – Remember what I said about motivation… Well VVVVVV is a prime example of this. Having released the demo, I now still have to do all the less-interesting stuff, like converting all the levels, but most importantly I need to rewrite the core of the game since I made some bad choices at the beginning of the project. So although I still want to finish it someday, motivation is a bit lacking here. I do have a version here though which has significantly more content than the demo. Luckily the hyped Super Bread Box did not suffer the same fate. But it was delayed due to bugs, for instance how the game slows down when there’s a lot of data has to be dealt with simultaneously. – You need to do a lot of bookkeeping to do a nice slowdown effect. Also NTSC-fixing made this slowdown coding even more difficult. Eventually I fixed all this and the game was more or less finished at the beginning of the summer. But then we still needed to get the artwork commissioned, the website needed to be built, and also negotiations with Vlambeer all caused some serious delays. But I’m happy it’s released now. Super Bread Box – Moon Temple level. Super Bread Box – Rocket Silo level. Super Bread Box – Construction Yard level. 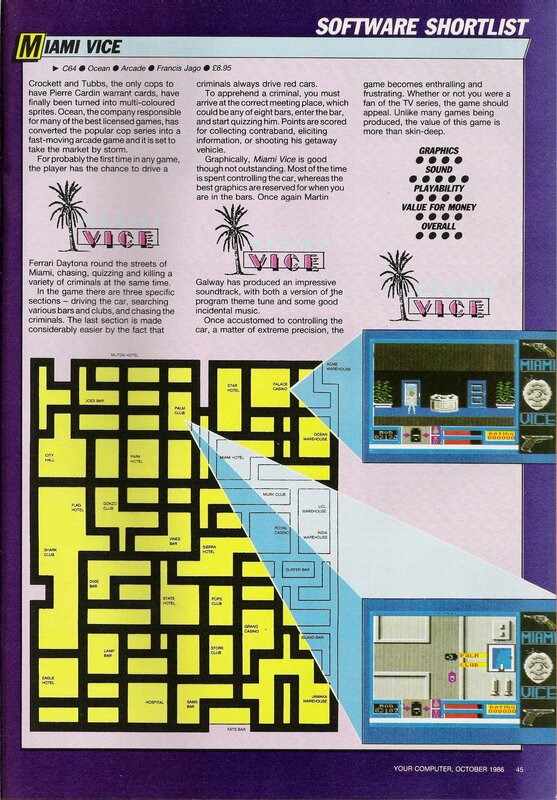 Then again it is the challenge that makes it interesting for Paul Koller to port modern day games to the C64. Apart from reasons like being a fun and addictive game all the enemy sprites in Super Crate Box move from top to bottom, which made it a good project to try his first sprite-multiplexer routine. For Canabalt the challenges were the procedural generation and the parallax background. For his latest project Micro Hexagon a port of Terry Cavanagh’s Super Hexagon the challenge seemed daunting. – Everything about Super Hexagon looks quite impossible to port to a 8 bit machine! But no challenge is too big for me 😉 I always wanted to try my hands on a 3D-kind of game, but without the slow gameplay that is usually associated with these games on a 8 bit machine. The only way to keep the speed up is to precalculate as much as you can. Hexagon actually has a quite “symmetric” engine so I thought that would work well. But then I translate the CPU-power issue to a memory issue. The latter is now actually the biggest challenge, to get as much of the original game in there as possible. 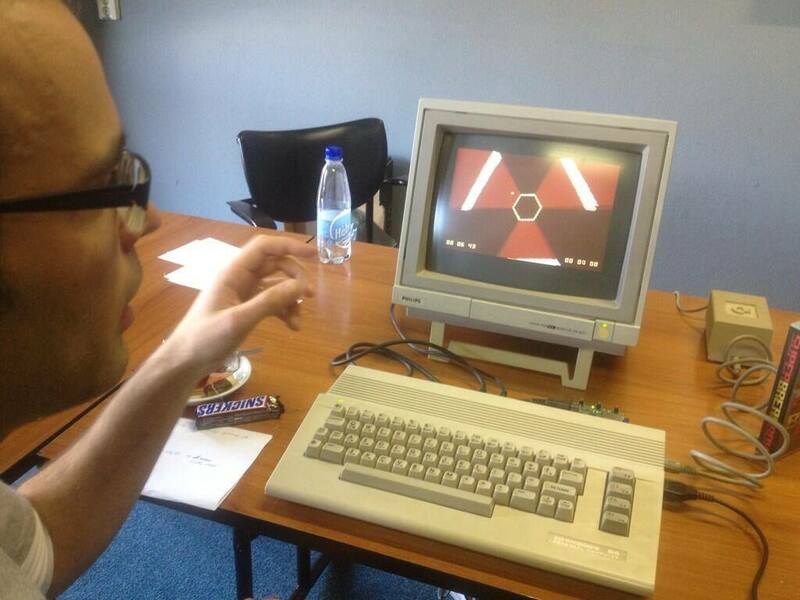 Paul plans to compete with Micro Hexagon in RGCD’s C64 16KB Cartridge Game Development Competition. 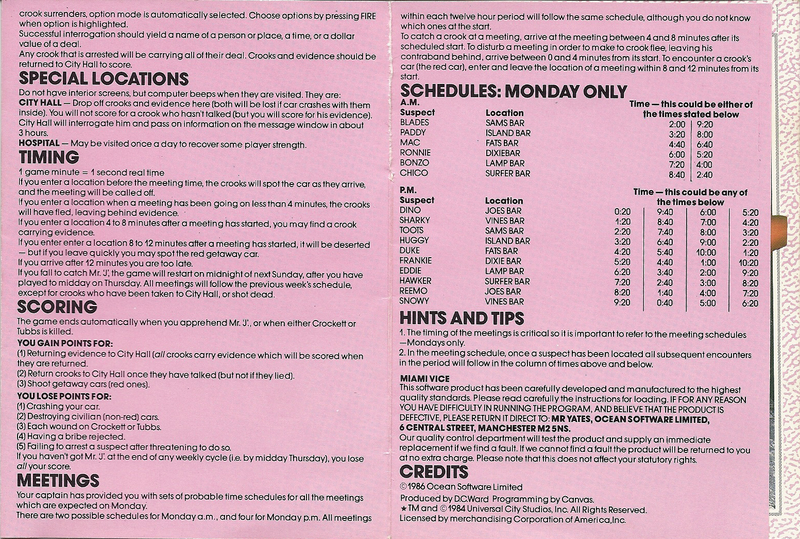 The annual competition held by the british game publisher Retro Gamer CD. First time Paul Koller entered the competition he came in second with C64anabalt, with Super Bread Box he won. If he can defend the title this year remains to be seen. What Paul Koller plans to tackle next time is yet to be seen. In previous interviews he’s mentioned that he’s been looking modern day classics such as Cave Story and Super Meat Boy. However as the list of new interesting game concepts grow longer his focus usually shifts to something new. But looking back at the unfinished “VVVVVV“ it is pretty safe to say it won’t to be a Commodore 64 port of Super Mario Bros or Zelda. Wow! Sounds like a massive hit! Let’s hope this crowdfounded project will reach its goal! I’m pretty sure it would be damn amazing to read such a piece of history! Hints & Tips for Videogame Pioneers is a new book by Andrew Hewson, founder of Hewson Consultants, 21st Century Entertainment and the founding Chairman of UK videogames trade body ELSPA (now UKIE).If you were a Spectrum, Commodore 64, Amstrad, Atari ST or Amiga gamer, then the chances are you played games published by Andrew’s companies: Hewson & 21st Century Entertainment. Hi, could you introduce yourself ? Some words about your kickstarter campaign ? 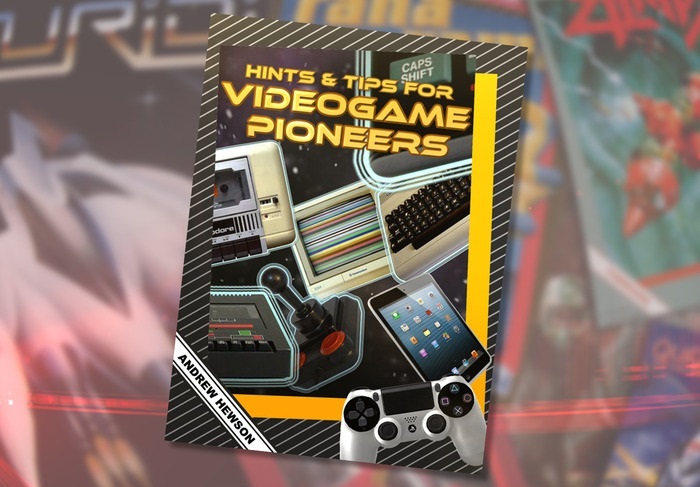 We’re raising money to fund the publication of a book entitled Hints and Tips for Videogame Pioneers which is about my experience in the industry. We’ve got some great contributors signed up including Steve Turner, Andreas Axelsson and Fredrik Liljegren. I’ve got about 30,000 words sketched out and now is the time to hire an Editorial Assistant and a Designer to bring the project to fruition. I’ve heard that all started by writing computers books. There was a book called “Hints and Tips for the ZX 80”. Can we say you are closing the loop ? I think it’s fair to say that I’m going back to my roots. How Hewson started as an editor ? I was lucky enough to work with computers in the 1970s and when the ZX80 was announced I bought one and set about writing a book about my experiences playing with the machine. Other books followed for the ZX81 and the ZX Spectrum and I also wrote monthly column, the Hewson Helpline, for Sinclair User magazine. You discovered such talented authors like Jochen Hippel, Pete Lyon, Marc Dawson, Raffaele Cecco, Steve Turner, Andrew Braybrook, John M. Phillips, … Did you have any special alien made detector ? 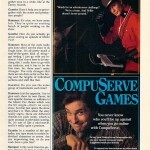 I remember larger companies like US Gold who did not have such names for their games. 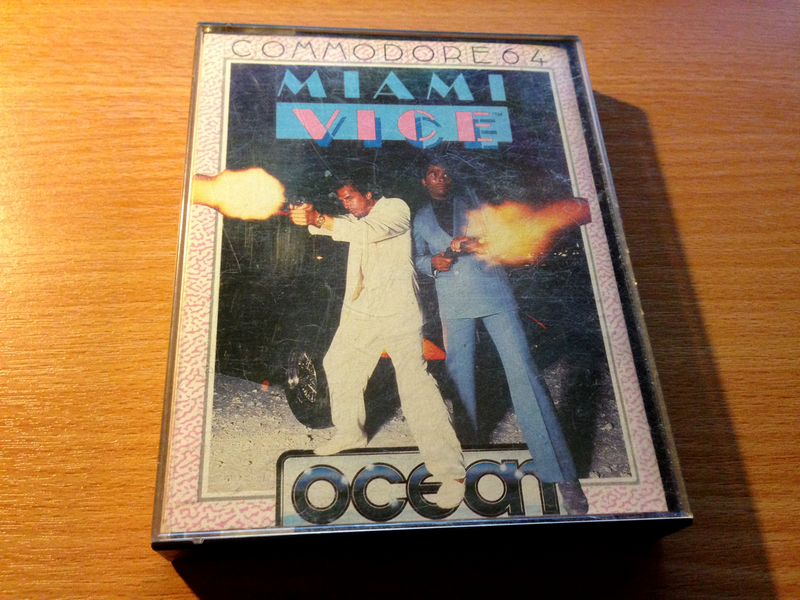 We received cassettes and later disks in the post from would-be games authors but so did other companies. We took the time to evaluate them and picked the very best – people like Mike Male and Steve Turner. With my programming experience I was very well aware of the time and effort that was put in by our authors and so we focussed our marketing efforts on promoting them as the special talents that they were. As a result more people came to us and so we created a virtuous circle. You were promoting authors of games you edited. It was unusual at this time (I also remember Bitmap Brothers doing the same).How authors and others editors reacted to this ? I think the authors appreciated our efforts. 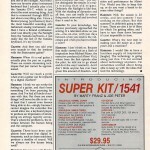 Other publishing companies had their own strategies. US Gold for example focussed very much on US imports, at least initially. 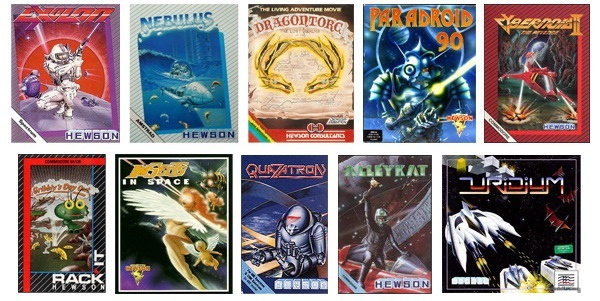 Some of the larger publishers put all sorts of inferior products on the market, a strategy which made no sense to me. We always strived to produce the best products that we could. How were you involved in the creative process of the games you edited ? Did authors came with finished games ? Did you have in-house authors ? Some authors, such as Mike Male, Steve Turner and Andrew Braybrook, brought us completed products. In later years we contributed much more to the creative process, reviewing, testing and tweaking products as they progressed towards completion. 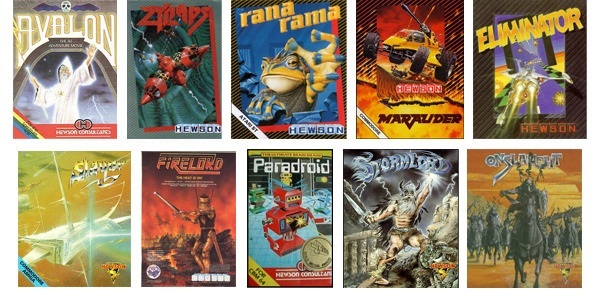 Maniac of Noise did some tunes for Hewson C64 games (like Stormlord). They were “state of the art” composers. How do you get in business with them ? The truth is I can’t remember. 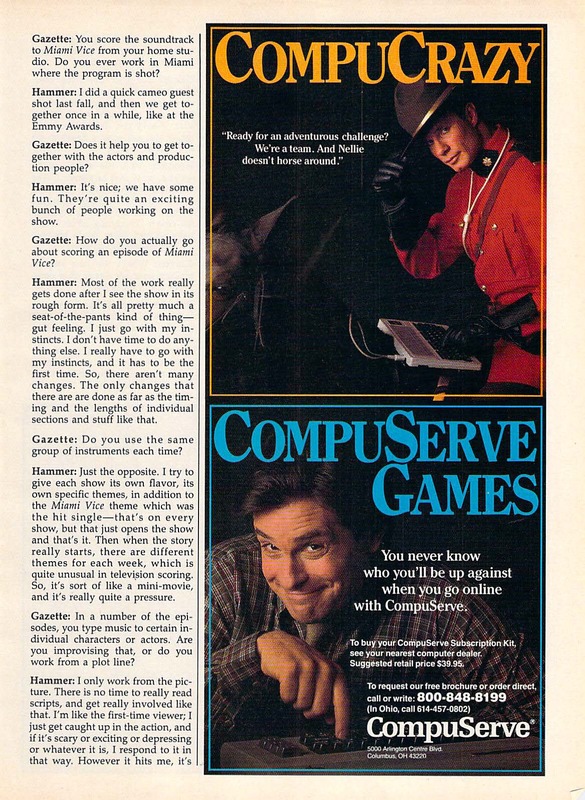 By this time I was employing producers and games testers who were games enthusiasts themselves and so many of the people we worked with in later years came to us via the staff. 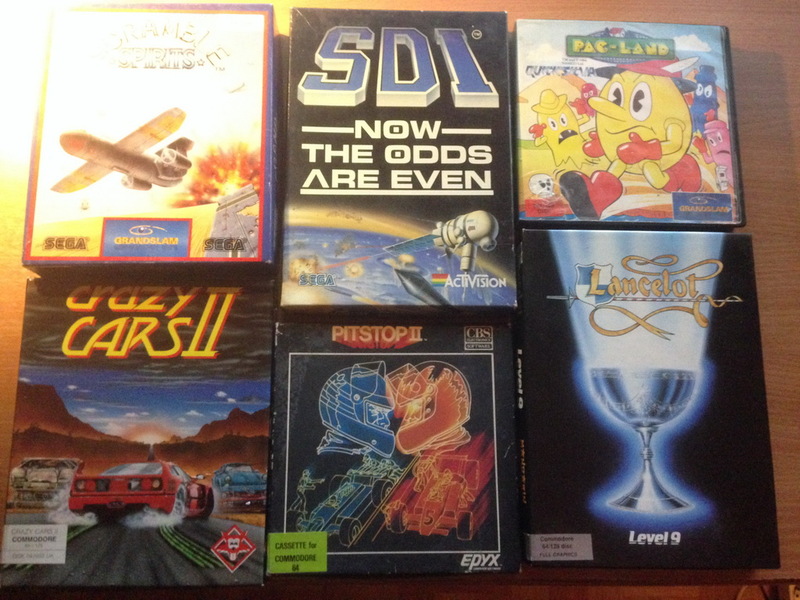 How did you managed the shift from 8 bits computers games to 16 bits one ? I remember the time Paradroid 90 was released : players and reviewers were excited when it was announced. The big battle was between the Amiga and the Atari ST. The Amiga was the superior machine but it took a while for programmers to master it and exploit all its facilities. Atari made the strategic mistake of licensing about 20 games (including some of ours) and bundling them with the machines. 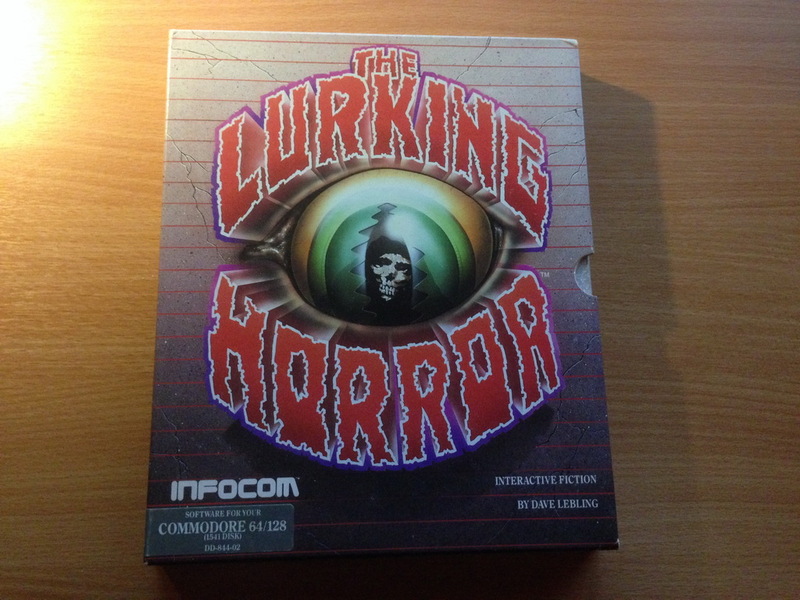 It gave them an offering that competed with the Amiga in the short term because it looked like great value for money but it killed the subsequent market stone dead. What’s up after Hewson adventure ? What about 21st Century who still haunt my player’s dreams ? 21st Century Entertainment was my second company and when DICE sent us their demo for Pinball Dreams we knew we had something good in our hands. 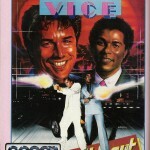 It was their first title and it paved the way for us to dominate the Pinball genre in the 16-bit era. I’ve had fifteen years out of the business and I’ve been quite happy to slip into retirement. It’s for others to take things forward now. a. Why Custodian was first named Kalashnikov ? Excellent question. I can’t for the life of me remember. b. 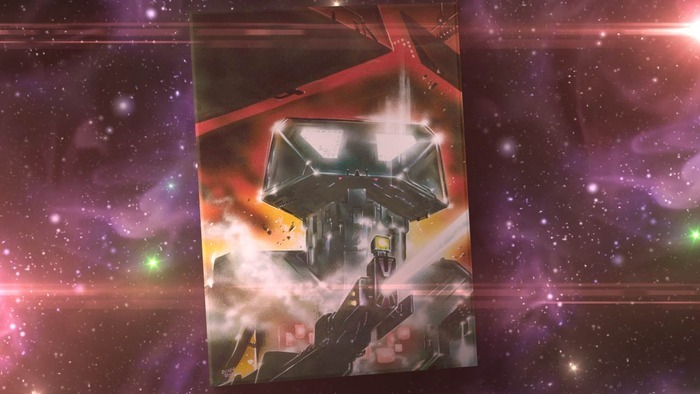 Some words about the idea behind the Nebulus scrolling ? In retrospect, many games were very difficult to play because we were guided by the standards in the arcade games of the time. I don’t remember Custodian and Onslaught as being especially difficult but there again I was never very good at most of them anyway. d. Do you have unreleased games to mention ? No, there’s nothing lingering at the back of a cupboard somewhere. At least not from me. A final word for our readers ? Thank you for your interest and, for the sake a small team of people who are working very hard, please back our Kickstarter project. Please head to the Kickstarter page! 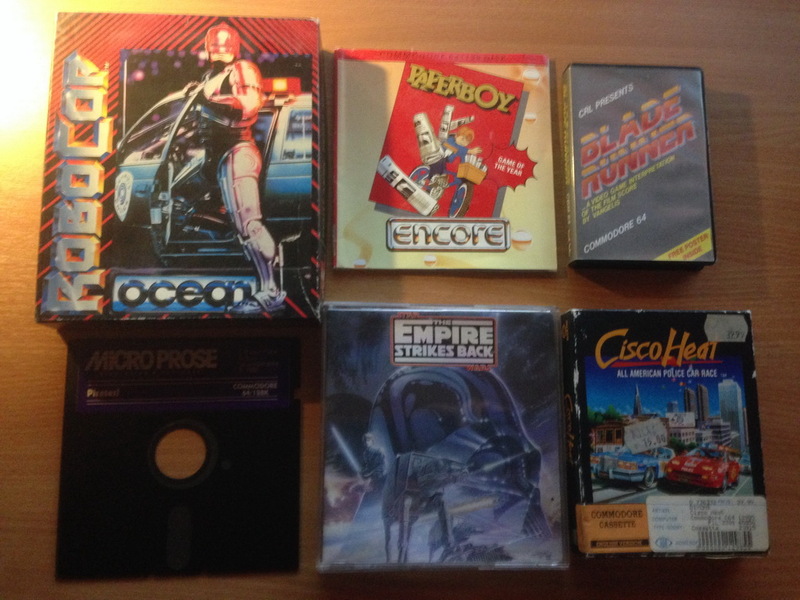 More and more c64 games!